“The Party” is a pretty much perfect follow-up to “Operation: Broken Feather” for several reasons. 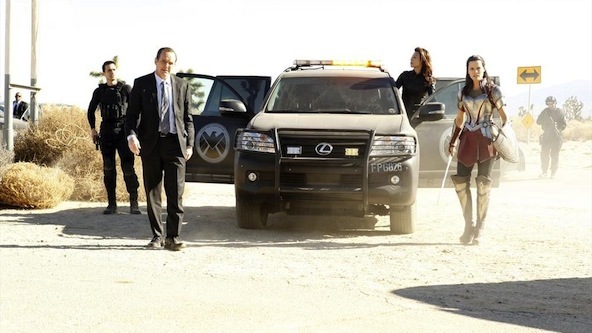 After presumably reaching a wider-audience on Sunday, the show sticks with basically the same character traits it carefully re-introduced there. Yet it also works in the ways those have developed over the course of the whole season to make this group of oddballs worth hanging out with every week. And it ties all of this in a great farce bow in the form of the titular celebration. 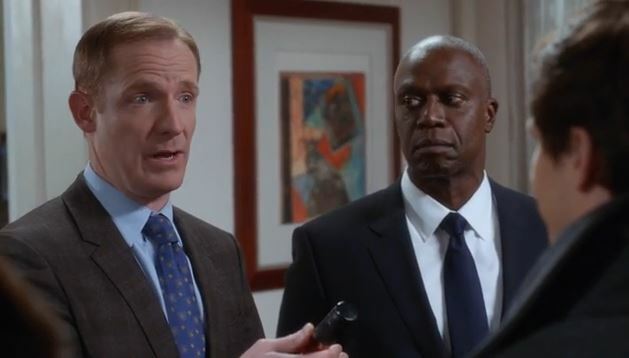 Holt invites the precinct to his birthday party, which excites everyone but Terry. 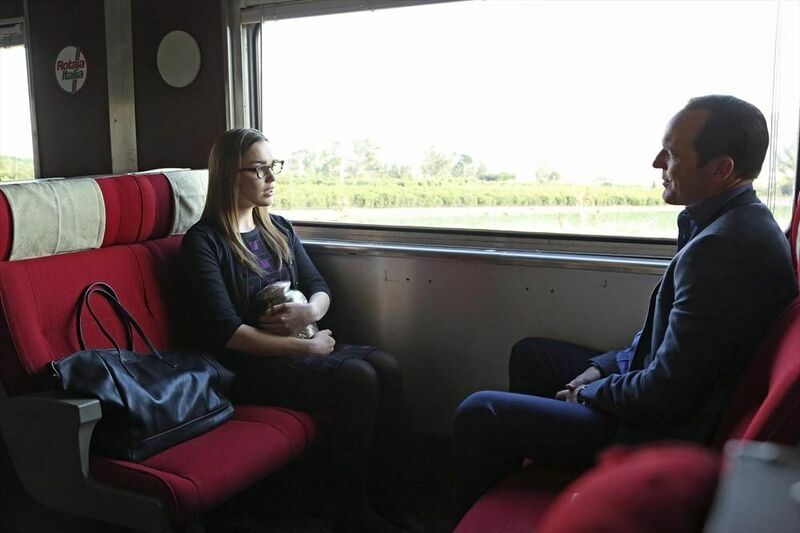 Most prominently, Santiago wants to use the occasion to do recon in her quest to bond with Holt and Peralta hopes to become best friend’s with Holt’s husband Kevin (Marc Evan Jackson). Terry is terrified that his co-workers will embarrass him, themselves, and the whole precinct because they do not understand how to behave properly at an adult party. Of course, he is right, and the results are hysterical. Scully wears shorts (because Terry said “no shorts” so many times he got confused), everyone brings wine-drink, Hitchcock can’t wait to take his shirt off, and Gina is stealing “mostly hats and scarves” from the moment she arrives. All of these things fit perfectly with what we know of these characters and quickly conspire to prove the 99th Precinct an absolute mess at mature human interactions. Watching them leave Terry’s mid-party pep-talk like a group of gazelles re-emphasized to me just how much this ensemble has grown over the course of this season from a variety of very funny people into a cohesive comedic unit. 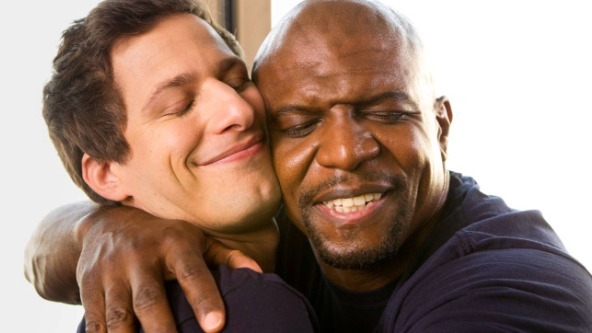 While Peralta and Santiago’s stories dominated the party, as he tried to pretend he had read a New Yorker article on human-trafficking and ended up arguing it was actually pro-slavery and she tried to find anything about Holt she could use to bond with him and ended up trapped in a bathroom with the dog she is deathly allergic to, “The Party” also interspersed plenty of great things for the rest of the cast to do throughout. Boyle falls for an older woman (Marilu Henner) who shares his love of food. Rosa figures out how to use Gina by introducing her to a behavioral psychologist and just letting her be herself. And Hitchcock and Scully are mistaken for a gay couple because Hitchcock gets teary-eyed whenever Scully sings opera. All of it worked incredibly well, and all because of what we know about these people going in. “The Party” doesn’t work on plot, and in fact, it has virtually none. Instead, it is just releasing these increasingly fully-formed characters into a new environment and watching them bungle their time there hysterically. 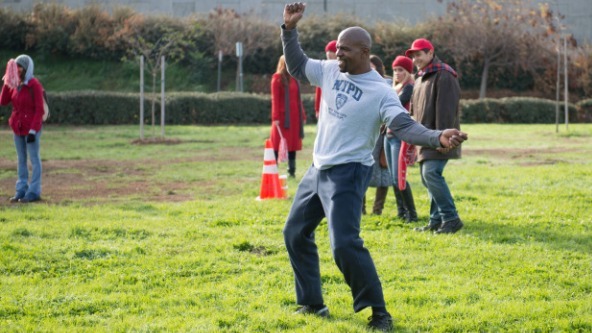 “The Party” is the sort of episode that bursts with promise and further convinces me that Brooklyn Nine-Nine is moving towards greatness. 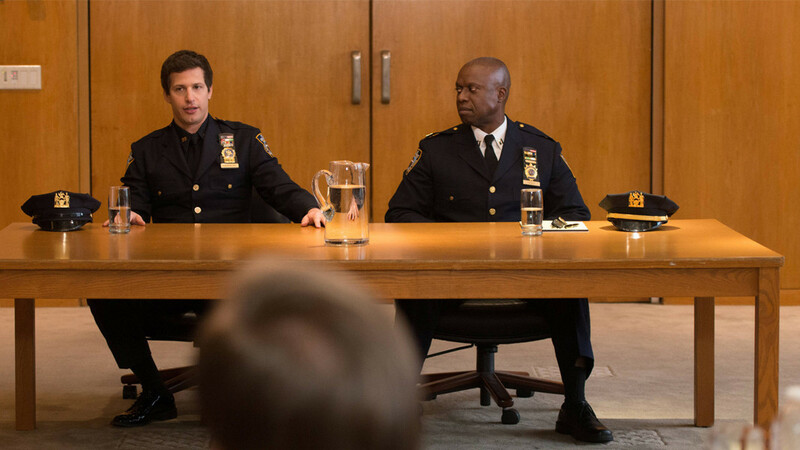 Every character feels well-formed here, and even Peralta, usually pushed as the star in earlier episodes, fits into the ensemble here without Samberg mugging and grabbing for the spotlight. 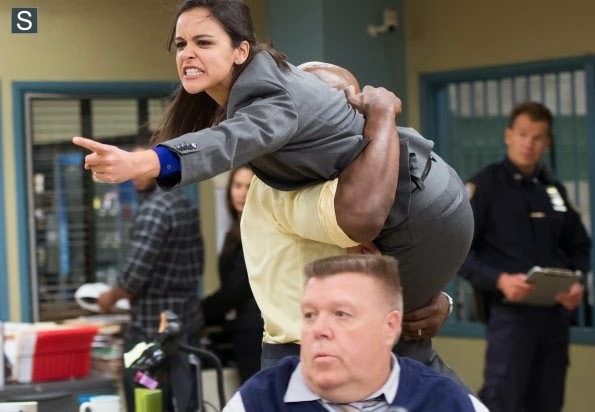 There are plenty of jokes, but also, a nice emotional resolution as Holt admits he truly likes everyone he works with and Peralta tries to make up for the decades of mistreatment Holt (and by proxy, Kevin) has endured by showing them the NYPD isn’t all bad. Basically, this is a great episode of the show, one that could stand alongside “The Bet” as an early classic for the show. -“But Truffaut wrote Breathless, and I’ve always considered film a writer’s medium.” The show retroactively fixing this makes me love it so much more. I admit this is a little irrational. But seriously, thank you Brooklyn Nine-Nine.